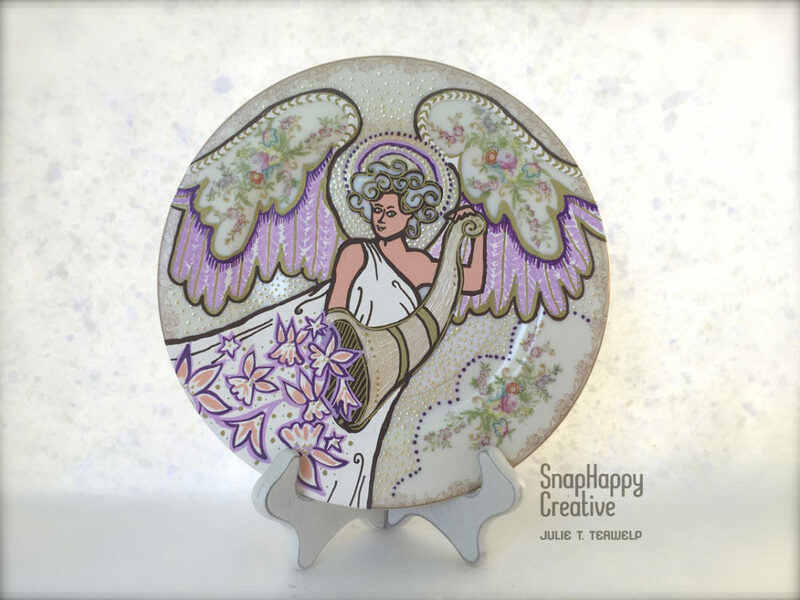 I just finished and shipped this custom-painted angel plate. When it comes to winged creatures, I normally paint birds. But the angel was a nice shift in subject. I found this beautiful cream plate with delicate flowers and ornate pattern along the edge. I like to incorporate existing patterns on the plate into part of the painting. In this case, the plate’s flowers become the angel’s wings and a cloud in the sky. My choice of purple as the dominant vibrant color was purposeful. From a visual standpoint, the purple pops against the warm yellow and gold tones in the plate. Symbolically purple is associated with royalty, spirituality, and mysticism. It’s the color of Roman emperors and Roman Catholic priests. We joke in the art guild I attend that when in doubt, add purple! 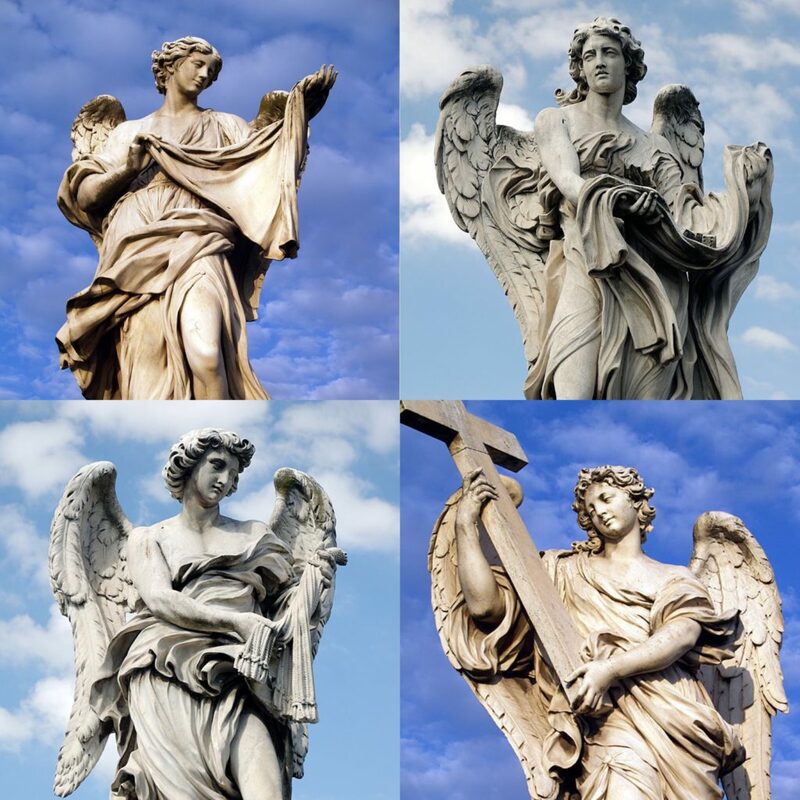 When researching angels, I found beautiful examples at Ponte Sant’Angelo in Rome, Italy. Ten angels line the bridge, each holding a symbol of the crucifixion of Jesus. I chose less religious symbolism with my angel offering a bounty of flowers instead. I especially love the flowing curls and feathered wings in the sculptures. I tried to recreate these characteristics in my angel too. If you have a favorite subject you’d like me to paint, I am happy to take on the challenge! Please contact me referencing custom plates in your email. Each design is an original one-of-a-kind (OOAK) work of art. Vintage and thrift shop plates serve as the canvas for my designs so specific patterns cannot be requested. Sizes vary from 7-12 inches. The cost ranges from $40-$60 plus shipping and handling. Note that these plates are for decoration only and come ready to hang.